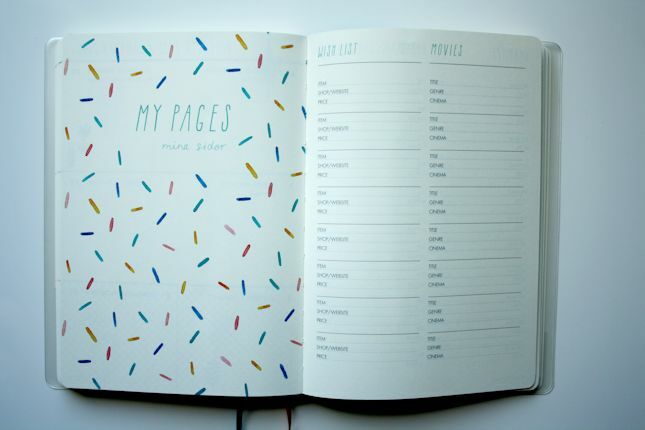 I'm pretty choosey when it comes to diary purchasing (much to the annoyance of Mr.Nomad) as I like diaries to have a weekly overview rather than a daily view as it makes it so much easier to see what you've got coming up in the week. Saturday and Sunday tend to be the days I have less things 'planned' so the smaller entry spaces for those days suit me really well. 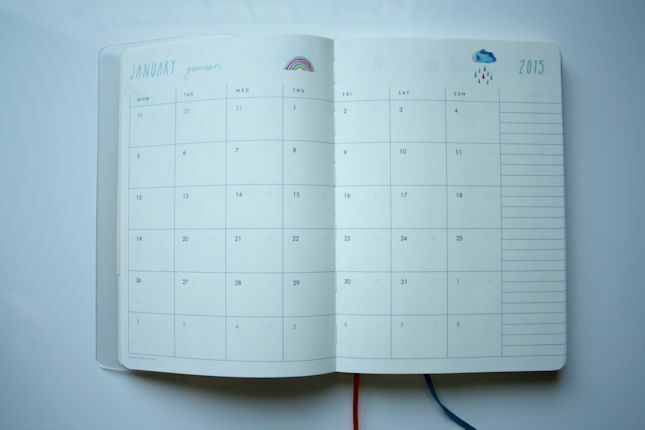 The cover of the diary is PVC which means it's durable in my handbag full of things that could potentially wreck a paper diary, and there's two ribbon page markers to keep track of where you are in the month. 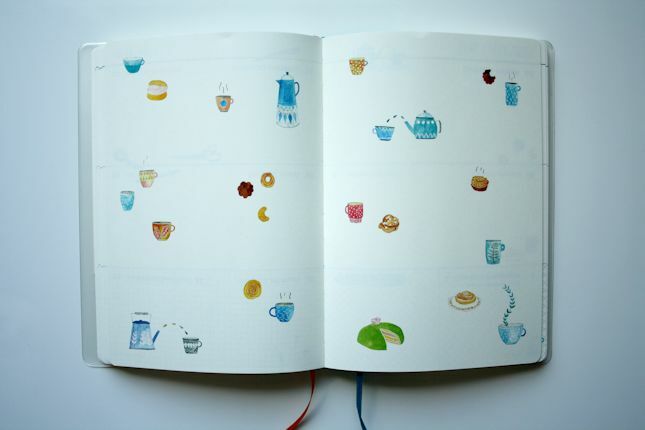 I really love the illustrations throughout the whole of the diary, and how they change theme according to which month you're in. 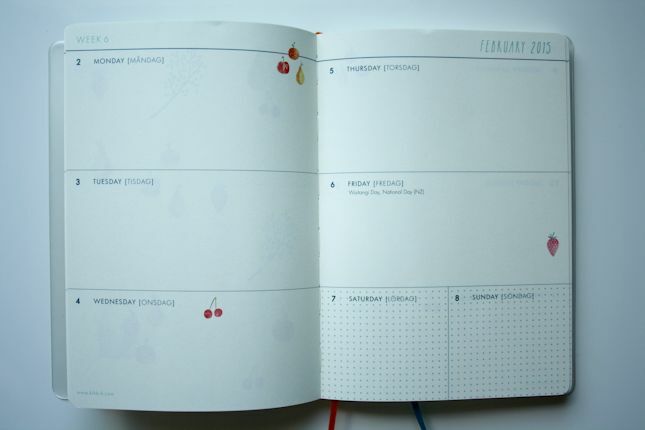 It makes a potentially dull and boring diary into one that looks cute and dainty. 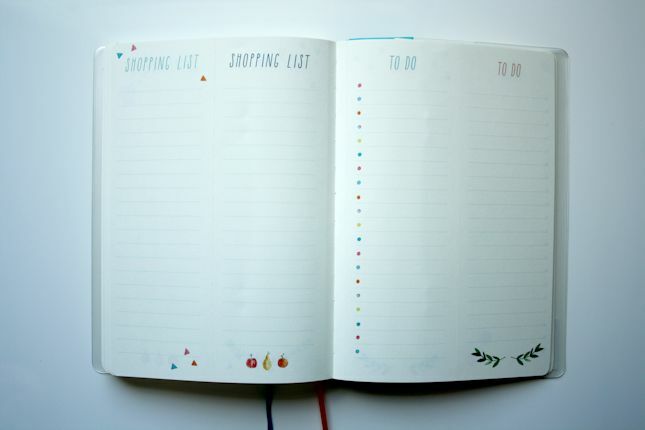 Along with all the features of standard diary, this little gem also features: perforated pages for shopping lists, thank-you notes and to-do lists, sticker sheets, pages for websites, wishlists, films, books, restaurants and bars, addresses and notes. 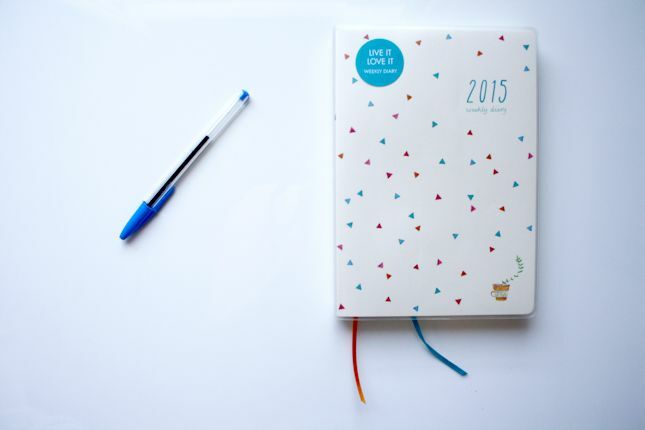 If you're looking for a new diary or any kind of stationary, I highly recommend checking out Kikki.k. Whilst the prices are on the higher end of the scale, I'm really impressed with the quality and attention to detail of their products. Do you have a fiend for stationary? 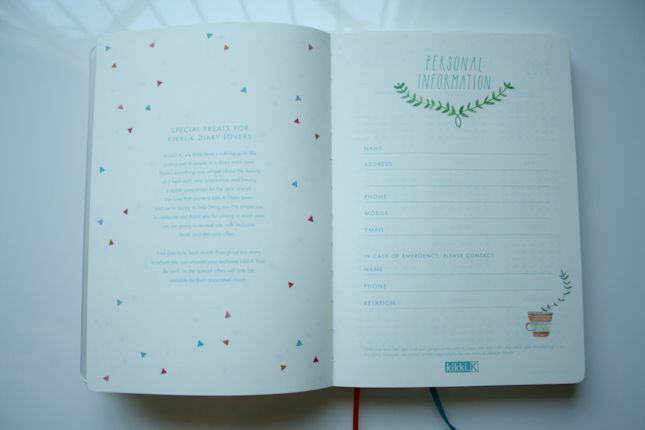 Have you ever bought anything from Kikki.k? 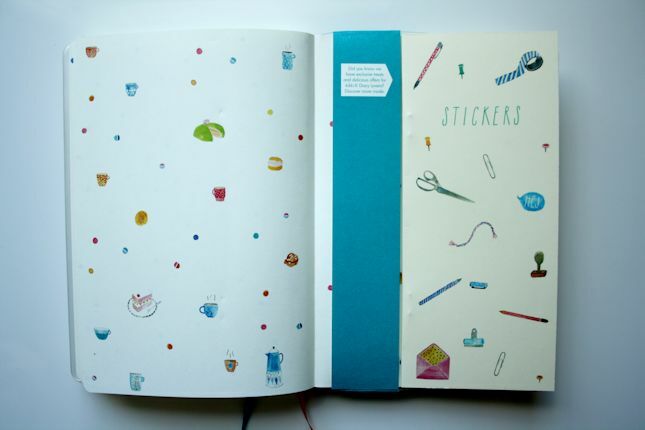 I have a soft spot for any kind of journal/stationary - especially if it's unique or cute. I have half a bookshelf of them and my friends always joke when I find a new one to pick up. They come in handy as a blogger though! Definitely agree- their products are so cute! Haha! I have more stationary than I care to admit. It definitely comes handy as a blogger though- you're right! Thanks Nicole! I love it too.